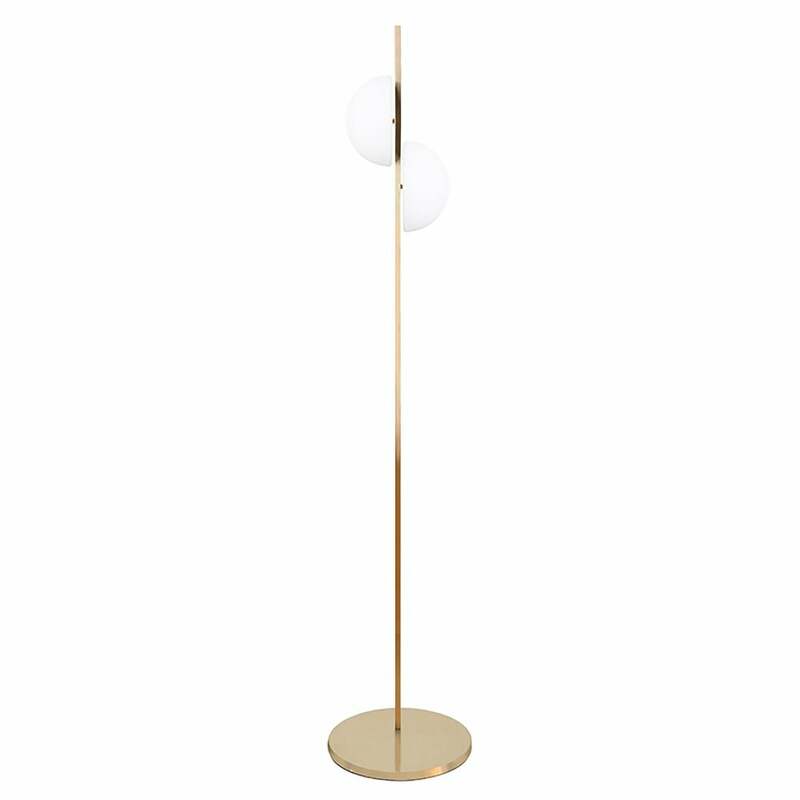 The Nacchera Floor Lamp by Heathfield & Co re-interprets the lustrous, natural curvature found in pearl. Part of the best-selling Pearl Collection, this contemporary design combines sleek lines with dynamic detailing. The offset opal glass spheres diffuse and softens light whilst bringing a touch of refinement to the simple floor lamp design. Crafted with a satin brass frame, the sense of fluidity is further echoed in the circular shaped lamp base. Style with mid-century modern furniture for an on-trend look exudes glamour and sophistication.